There has been a lot of talk about obesity rates in the United States; on the average, America has been gaining weight. It certainly is useful to limit nutritional intake, exercise and maintain a healthy lifestyle. However, obesity is not the biggest killer in the U.S. That dubious honor goes to cigarettes. According to the Centers for Disease Control, cigarette smoking continues to be the leading cause of preventable death. Smoking accounts for approximately 443,000 deaths, or 1 of every 5 deaths, in the U.S. each year. There is some happy news. Healthy behaviors of Americans are on the rise. The National Center for Health Statistics said smoking rates have decreased in the past decade. Overall, 6 in 10 adults never smoked cigarettes; about 3 in 10 are regularly physically active in their leisure time and nearly 4 in 10 have a healthy weight. A majority of Americans get enough sleep; 6 in 10 usually slept 7 to 8 hours in a 24-hour period. Unfortunately, smoking is not going away. As of 2010, 21.5 percent of adult men smoke, as do 17.3 percent of adult women. West Virginia has the most smokers, with 26.8 percent; Utah has the fewest smokers, with 9.1 percent. The region with the most smokers is the Midwest; the prevalence of smoking is 21.8 percent. The West has the fewest people lighting up with 15.9 percent. 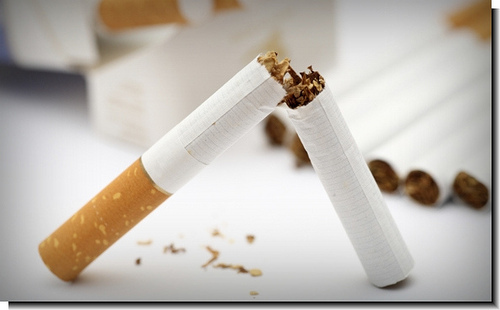 Education is highly influential in curbing smoking rates, especially in the workplace. As state and local smoking bans continue to be enacted in worksites and public places, people become increasingly educated about the need for policies to protect themselves from exposure to secondhand smoke. Many states and localities have smoke-free laws in place, but they are not exhaustive, leaving some workers unprotected. The CDC suggests that smoke-free laws and regulations covering workplaces, restaurants and bars without exceptions are the only way to protect workers and the public from indoor exposure to secondhand smoke. These regulations lead to continued awareness and a gradual change in smoking habits. For more information, read the CDC fact sheet on smoking in the United States; also read the National Center for Health Statistics report on American health behaviors.